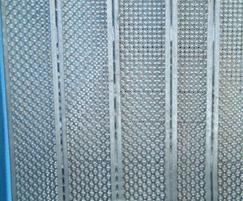 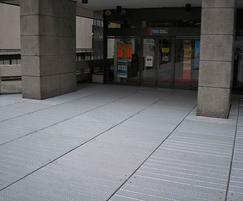 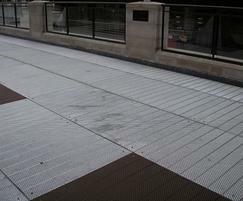 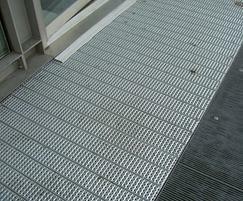 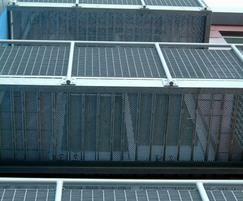 Type O5 perforated planks are characterised by small 5mm dia. 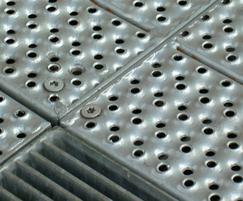 punched raised and depressed holes in 2mm thick carbon steel and 3mm thick aluminium. 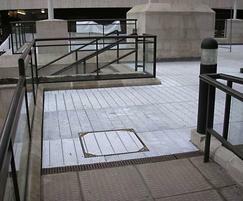 Type O5, with its heel-proof properties, is used in public and institutional areas; predominantly as main access and fire escape routes. 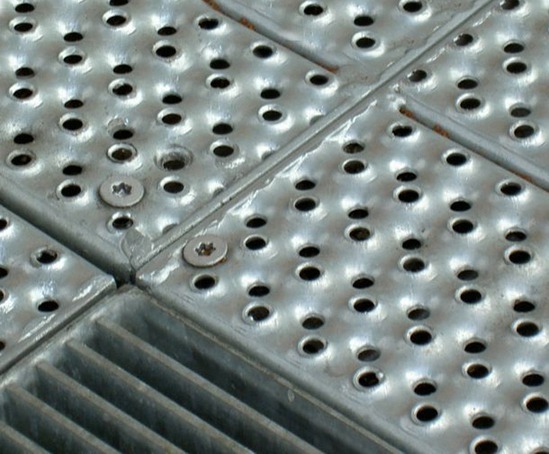 In industrial areas such as motorway gantries, the small 5mm dia holes ensure no falling objects pass through injuring people below. 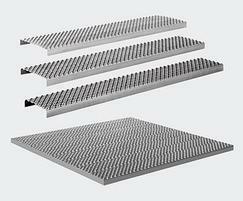 Type O5 planks can be manufactured in diferent widths, heights, lengths and profiles, and used as individual elements or welded together to form grating panels. 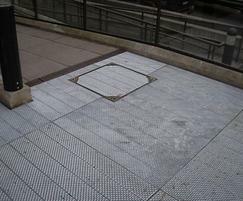 Tullamore Footbridge is located in Ofally, Ireland. 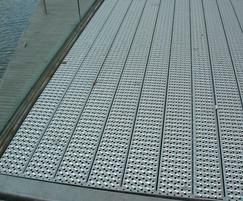 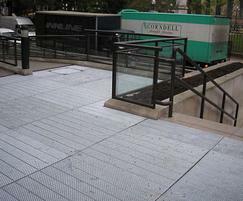 It has been constructed using Type O5 perforated galvanise steel planks for the walkways and Type O5-M stair treads/landings.